Home » Insurance » Life Insurance » What is Key Person Life Insurance? As an individual or family you have hopefully heard of protecting your income and expenses through purchasing an appropriate amount of term life insurance. The life insurance provides a substantial sum of money to your family that protects them from the loss of your income. Most people have at least heard of life insurance even if not all of them have gone through the process of purchasing it. However, one aspect of life insurance that is often missed is by businesses. Why does a business need life insurance? It turns out it is one of the most critical businesses issues that is often ignored. No matter the size of a business – a three person small business or a huge Fortune 500 organization – there are key individuals that are running the business, managing employees, closing key sales, and making key decisions. If one of these key persons is disabled or dies the business can be thrown into chaos or worse. This is especially true for small businesses. Imagine the Mom and Pop shop that has a loan based on the viability of the business. Pop dies unexpectedly and the viability of the business in in question. The bank calls in the loan, but there is no way Mom can pay the big loan all at once. The business dies along with one of the key persons. That’s what key person life insurance is designed for. It is a life insurance policy on a key person of the business. Who Owns Key Person Life Insurance? With normal life insurance for a family, the payout of the policy goes to the family. The family is the beneficiary of the life insurance. That is not the case with key person life insurance. 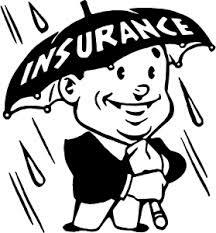 Typically the business takes the life insurance policy out on the individual. It is a business expense to protect the business. (However, the life insurance policy cost may not be deductible; speak with your accountant.) If the person dies during the policy term, the payout goes to the business to protect the business. Who Can a Key Person Life Insurance Policy Be Purchased? There is not a set standard as to who can and cannot have a key person life insurance policy purchased on their life. The business determines who they believe are key to the survival of the business (or the loss of which would cause financial strain on the business). It could be purchased on an owner, a C-level executive like the CEO, or a key salesperson. What Can Key Life Insurance Funds Be Used For? The funds don’t have to be used exclusively to pay off a big bank loan. Funds can be used to hire extra personnel to cover for the loss of the key person, for training of a replacement, or simply to cover profits that may not be reached due to lost sales. One last aspect that the funds can be used for is to allow remaining shareholders or partners the ability to purchase additional shares to control the business.